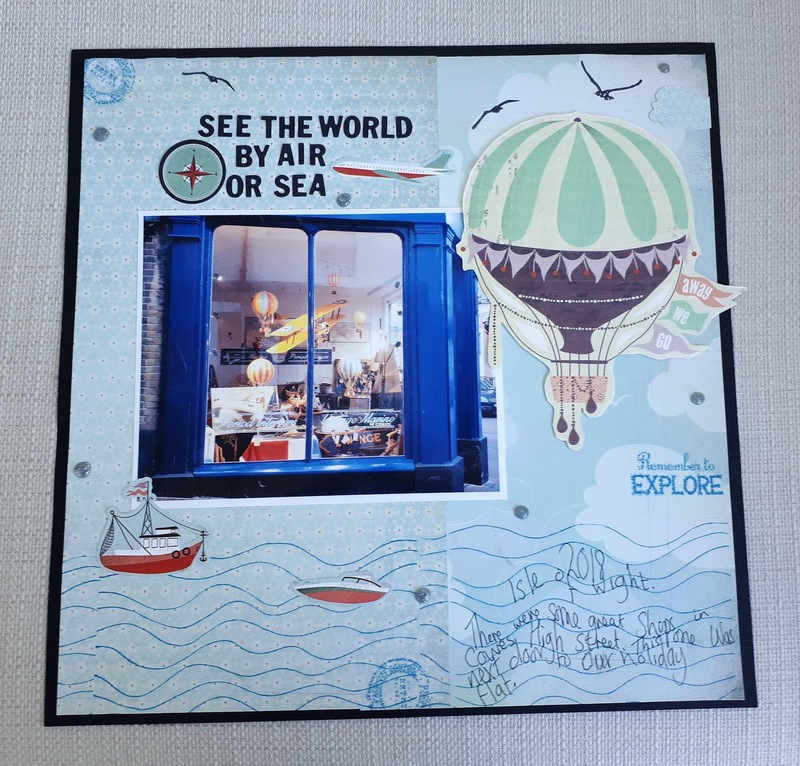 I chose the challenge at City Crafter this week . My inspiration came from a photo I took of a shop in Cowes High Street, where we were staying in the Isle of Wight. 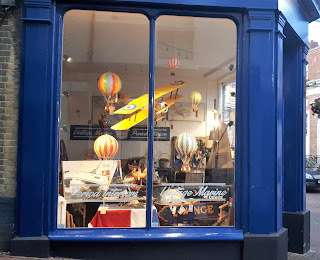 The shop was full of models and pictures of boats, ships, old-fashioned planes and hot air balloons. For my DT project I decided to scrap the photo of the shop, using a very old Basic Grey collection and various stamps. I hope you'll join in at City Crafter. This is a great photo, it would be great as a photo challenge. Well, it sort of is now, kind of anyway, with your challenge theme and layout as inspiration. How beautiful! Wonderful layout page! Great way to get inspiration from the shop! Awesome journaling on the waves!